UCL's new Institute for Innovation and Public Purpose (IIPP) was officially launched on 12 October with a keynote lecture by its director Professor Mariana Mazzucato and a high level panel discussion. 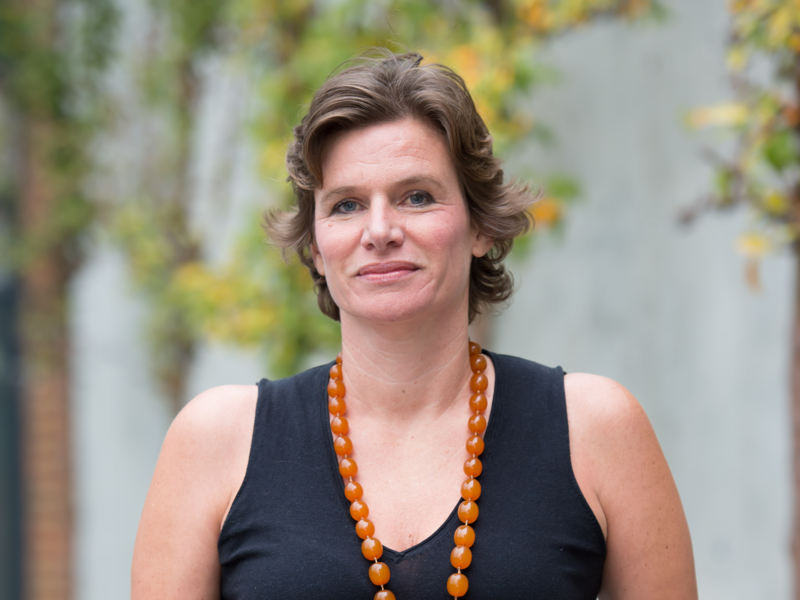 Professor Mazzucato, who last week won the 2018 Leontief Prize for Advancing the Frontiers of Economic Thought, joined UCL in March this year to establish the Institute. She holds the chair in the Economics of Innovation and Public Value at UCL. Her lecture, "21st Century Policymaking driven by public value and public purpose" set out IIPP's bold agenda to rethink how public value is created, nurtured and evaluated. The talk was followed by a discussion with leading thinkers about innovation and the public sector: Mike Bracken, Dan Hill and Professor James K Galbraith, and chaired by FT Innovation Editor, John Thornhill. A livestream of the event is available here. IIPP's work will challenge conventional economics which limits the role of public policy to fixing market failures. Building on Mazzucato's work on the Entrepreneurial State, it will explore the role of the public sector in co-creating and shaping new markets in ways vital for both long-term economic growth--and essential to tackling major challenges such as in climate change and health innovation. Its work is closely aligned with UCL's Grand Challenges agenda. "IIPP aims to transform understanding of what policy makers should do--and give them the tools to do it. Public policy is too often restricted to fixing market failures. But the challenges we face - from tackling climate change to dealing with ageing populations or building more inclusive growth - require the public sector to co-create and shape the markets of tomorrow, alongside the private sector. "UCL, with its drive towards reframing the university around Grand Challenges, is the natural home for IIPP's radical rethinking of public value and how it is created, nurtured and evaluated." said Professor Mazzucato. The Institute has already begun a collaboration with the United Nations Sustainable Solutions Development Network (UNSDSN) to explore how a mission-oriented approach to innovation can be used to build technology roadmaps for key priorities of the UN's sustainable development goals. It held the first workshop on October 2nd at UCL, led by Professor Mazzucato and Professor Jeff Sachs from Columbia University (Special Advisor to UN Secretary General Guterres). IIPP research is currently funded by grants including two from the European Commission, the Open Society Foundation on 'Rethinking health innovation', and a new grant awarded this week by Innovate UK for a project on the 'Macro implications of mission oriented innovation'. Working closely with policy-makers from around the world, IIPP aims to create a global network of mission-oriented organisations driven by public purpose. IIPP's teaching programme, beginning in 2018, will offer innovative undergraduate and graduate courses as well as executive education for policy and business leaders. In September 2017, Rainer Kattel joined IIPP as its Deputy Director and Professor of Innovation and Public Governance. His work focuses on the governance of public institutions. Kattel previously led Ragnar Nurkse School of Innovation and Governance in Estonia, building it into one of the leading innovation and governance schools in the region.